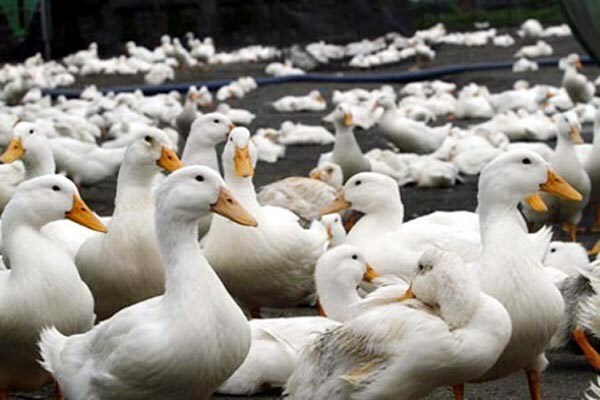 Hanoi (VNA) - As many as 399 districts across Vietnam have been identified as high risk areas for the outbreak of bird flu while another 314 districts are at low risk, according to the Ministry of Agriculture and Rural Development (MARD). According to the national plan on avian influenza prevention and control from 2019 to 2025 approved recently by the Prime Minister, the high-risk districts are those that fall into at least one of three categories. First, they are located in border provinces of Quang Ninh, Lang Son, Cao Bang, Ha Giang, Lao Cai, Lai Chau, Dien Bien and Son La. Secondly, the districts had bird flu outbreaks or cases of bird flu reported at least twice in the last five years (2014-18) or within two years after they are removed from the low-risk district list. Thirdly, the high-risk districts have more than 3,000 poultry farming households, over 100,000 poultry, over 100 duck farming households, or over 11,000 ducks. Low-risk districts are those that fall in at least one of following categories, including no bird flu outbreak or bird flu virus reported in the last five years, their poultry population is less than 100,000 poultry and less than 3,000 households raise poultry in a district. The low-risk districts have disease-free poultry production chains. Head of the Epidemiology Division under the Department of Animal Health Nguyen Van Long said on March 22 that the zoning which identifies high/low risk areas for bird flu outbreak is one of 12 key measures Vietnam is taking to better prevent and control bird flu until 2015. Other measures included disease detection, response and control, vaccination, animal quarantine, and poultry slaughtering control. The country will also develop more disease-free production zones and safe production chains in conformity with recommendations of the World Organisation of Animal Health (OIE), Long said. Now, there are six disease-free poultry production zones in Vietnam and 654 poultry farms are certificated disease-free. Deputy Minister of Agriculture and Rural Development Phung Duc Tien said monitoring the bird flu virus circulation effectively helps prevent and control bird flu. The Department of Animal Health cooperates with the Food and Agriculture Organisation and OIE to take poultry samples for monitoring each year. Tien called for continued international assistance to Vietnam in dealing with diseases including poultry diseases. In Vietnam, the avian influenza virus A/H5N1 in poultry was first reported in late 2003. At that time, Vietnam was one of the first countries to declare an epidemic of this virus and suffered heavy losses when more than 45 million poultry were culled between 2003 and 2006. Between 2007 and 2013, about 200,000 poultry were killed because of bird flu each year. Between 2014 to March, 2019, about 90,000 poultry were killed because of bird flu each year. From 2004 to 2014, 127 people were infected with A/H5N1, of them, 64 victims died. Since April, 2014, no one in Vietnam has been infected with bird flu.